As festival season comes to an end with the passing warm days and daylight hours, we get ready to welcome the new trend of all -year-round festivals. As winter time rolls around, so does the 8th annual installation of SnowGlobe Music Festival in South Lake Tahoe. Spanning across 3 days leading up to the end of a huge year in the ever-expanding music world, 2018 will be sent off with a boom. Starting on Saturday, December 29th, 2018 jamming all weekend throughout Monday, December 31st, 2018, SnowGlobe Music Festival will be the perfect end to this year. Hosting a diverse lineup at the South Lake Tahoe Community Playfields located in the awe-inspiring Sierra Nevada Mountain, festival goers will have all the entertainment they could ever ask for. From hitting the slopes of the snow peaked ski resorts to 3 stages, new art installations, and a special Big Air activation – showcasing professional ski and snowboard demos in-between performances on the mainstage, there will be no dull moments. 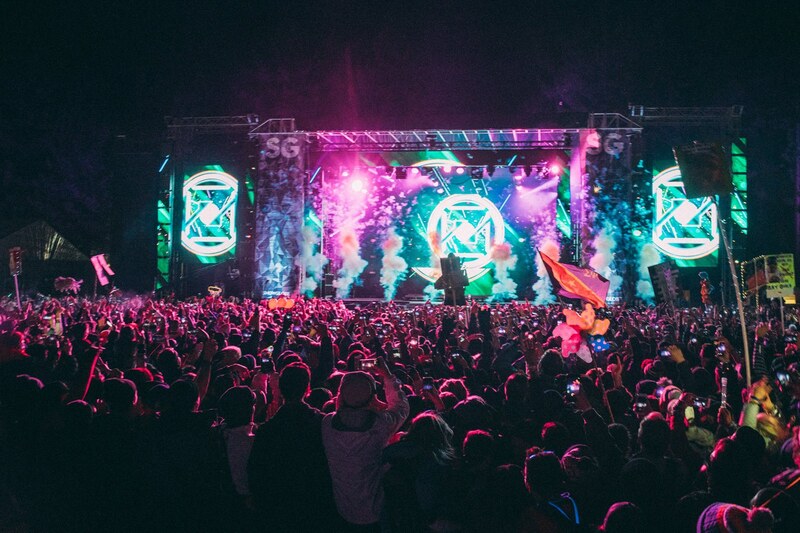 With the recent release of the lineup, SnowGlobe Music Festival 2018 has caught the attention of thousands. Headlining the 3-day outdoor festival will be Above & Beyond, Diplo, Eric Prydz, Rezz and RL Grime. With new releases of a number of tracks and albums from all acts throughout the year, performers are sure to rock the snow off your feet. Also joining the New Year’s party will be Big Gigantic, Gorgon City, Nightmare B2B Slander, and Sofi Tukker; among many others. A festival with this much to offer already can only get better. Like years in the past of the music fest, a variety of hotel accommodations will be available for purchase with an added perk. SG18 partners once again with Hotels for Hope, its long-term exclusive lodging partner that provides each night booked by SnowGlobers, to provide a portion directly donated to the Lake Tahoe Boys & Girls Club. If we didn’t grab your attention with the sneak peak of the lineup, philanthropic opportunities, and insane snowboard and skier flips and tricks, you’ll want to check out the rest of the artists scheduled to perform at this years end of year banger on the west coast, SnowGlobe Music Festival, here.